By October end, the toll set-up in Delhi will adopt radio frequency identification, and 65 dedicated lanes at border points will employ the technology. While the South Delhi Municipal Corporation expects work on civil work to be completed by September 13, the software installation and other work will stretch the deadline to October end, according to civic officials. 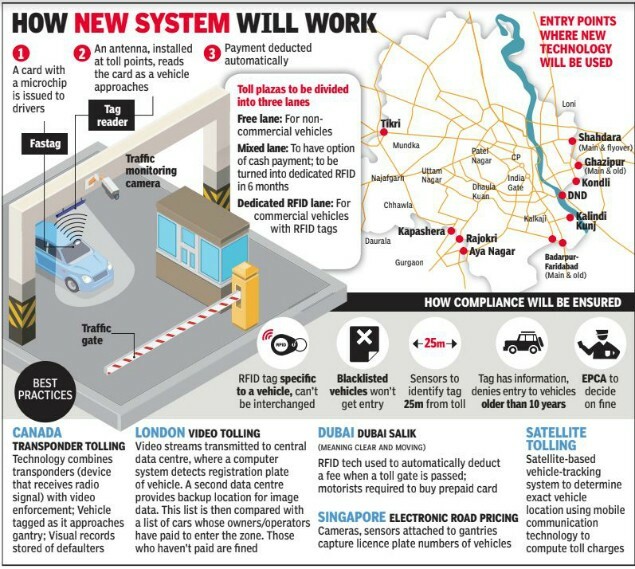 RFID will be used at the 13 entry points from where 85% of vehicles roll into Delhi. SDMC is optimistic that after the introduction of this new system for paying tax, congestion at toll plazas will be resolved permanently. There will be three types of entry lanes there: free lane for non-commercial vehicles, mixed lane with payment of toll either by cash or through RFID tag, and dedicated RFID lanes. The mixed lanes will be converted to full RFID lanes by March 2019. 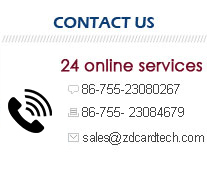 RFID is successfully used for toll collection in countries such as Dubai, Singapore and England. London uses video streaming to transmit data to the road authority if any vehicle skips paying the congestion charge. In Dubai and Singapore, motorists buy prepaid cards. These are fixed to the windscreens and toll is deducted automatically when passing through a toll gate. This enables continuous traffic flow without the need to stop to make cash payments.